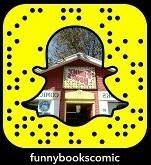 aboard the Good Ship FUNNYBOOKS! 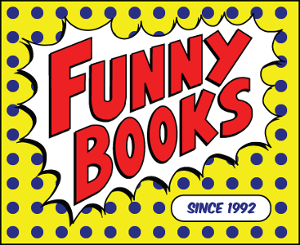 Since 1992, FUNNYBOOKS comic book store has provided Comic Book Enthusiasts with a refreshing and rewarding Comic Book shopping experience, by combining our highly organized selection of New Comics & Stuff, with our thoughtful customer service. Our goal is to create happy, returning customers. Hop aboard! We have the Comics & Stuff you're looking for! FUNNYBOOKS is well-known for having big stacks of the comic book industry's best New Comics, and for our obsessively maintained Graphic Novel Selection - which includes a thoughtfully cultivated Manga section. 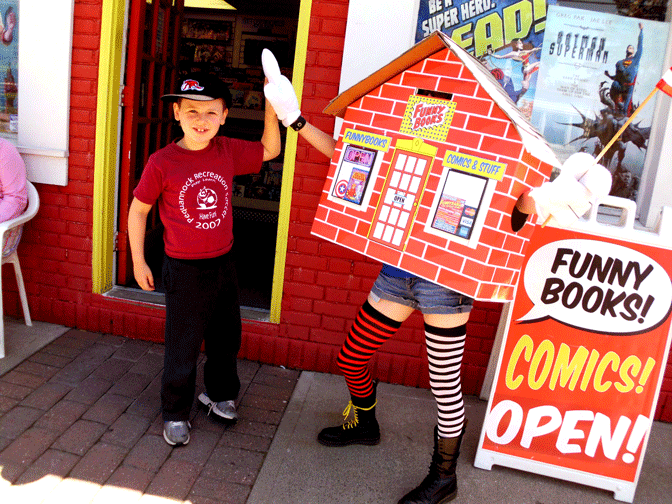 FUNNYBOOKS is filled to the brim with all kinds of great comic book-related merchandise, including Action Figures, Statues & Busts, Pop-Vinyls, T-Shirts, Trading Cards, Posters and more! We also carry a complete line of Comic Book Collecting Supplies. The 12-Hour New Comic Day! Every week begins with Wednesday's action-packed 12-HOUR NEW COMIC DAY (10am-10pm EVERY WEDNESDAY). Local comic fans can expect to find all their favorites waiting for them when they arrive at FUNNYBOOKS, and all New Arrivals are clearly labeled with colorful "NEW THIS WEEK" signage. Looking for something from previous weeks you may have missed? 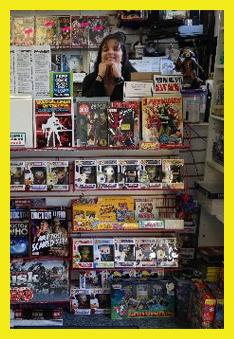 FUNNYBOOKS maintains a well-organized selection of recent back issues. 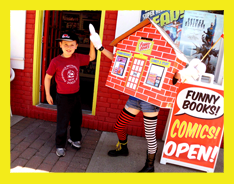 Can't make it to FUNNYBOOKS? Or maybe you just prefer to read your comic book adventures digitally? Either way, FUNNYBOOKS has you covered by offering a convenient portal to the leading online source of digital comics. Look for the link below!